“Fine feathers make fine birds”, says a famous proverb. Indeed national costume is one of the main attributes of each nation, which is closely connected to its history and traditions. The traditional clothes help the historians to understand the essence of any nation’s soul and mentality. In Azerbaijan, as in the rest of the world, history and geography determined the form and color of clothes.Traditional dresses, so colorful and diversified, truly represent the different regions of the historic Azerbaijan. Full of fascinating decorations, colors and designs, they truly reflected the artistic sense and the aesthetic taste of the nation. The details and colors in all outfits, whether for the rich and aristocratic or for simple country people, were chosen after careful consideration and random elements were condemned. The typical women’s traditional dress of Azerbaijan consists of under and outer garments and clothes for the upper and lower body. Bag-shaped cover “veil” and shutter for the face “rubend” were the important parts of the costume, which women wore while going out. Outerwear was sewn from brightly colored fabrics, and its luxury depended from the social status of the family and may include a variety of different jewelry, such as gold and silver beads and buttons. Women also wore a short jacket called arkhalig with long sleeves, fitting back and chest, with a wide opening in the front. Arkhalig is considered one of the most common types of clothing in all the regions of the country and very often women wore gold, gilded silver belt or leather belts with sewn silver coins above this jacket . The style of clothes reflected the marital status and age of the owner. A young girl’s wear noticeably differed from a married women’s. Young ladies wore more colorful and bright dresses. One of the most common women’s headwear was kelagayi — a silk scarf, protected them from both hot sun and cold wind, because silk is cool in summer and warm in winter. Colored painted kelagayi was very popular among young girls. Since 2014,Kelagayi has been included UNESCO`s intangible cultural heritage list. 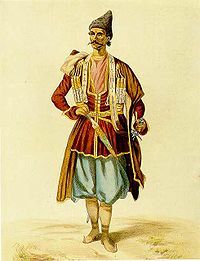 Unlike female clothes, male national costumes were similar in almost all the areas of Azerbaijan. Men’s costume always represented the class affiliation of its owner. The prominent fabrics used in the traditional dress for men in Azerbaijan were silk, cashmere and satins. Papaq was the most popular headdress for men which was usually stitched with lamb fur and it was a symbol of dignity and prestige.Men never took off their papaqs or hats and, in general, it was considered shameful to go out without a hat. That’s why if someone wanted to offend somebody, he tried to knock his hat off his head. The most popular headgear worn both by men and women — arahchin made from silk fabric and decorated with gold embroideries — well-known today for many thanks to souvenir shops across the country, was a typical traditional headgear of Azerbaijanis, widespread in the Middle Ages. 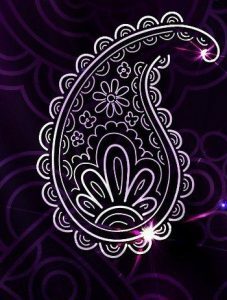 Buta ornament famed in Eastern countries is theAzerbaijani national ornament..Buta motif is often used by Azerbaijani master. There are a lot of types of buta and some of them have their own symbolic meaning. This ornament is widely used on carpets, textiles and decoration of buildings in Azerbaijan still today. Buta is the symbol of Azerbaijan as well. Of course, now you will not meet people dressing the national costumes, Azerbaijanis wore them about until the 20th century, and then only in some rural areas. However, today they are widely displayed in full rhythm in the folk dances and festive occasions of Azerbaijan. Despite in modern times Azerbaijanis do not wear the traditional clothes in their daily lives, nevertheless, the trend of that time have occupied the runways, and today both Eastern and European designers often use long skirts and wide pants, peculiar to Azerbaijani national clothes. Noteworthy, even very famous Italian designer Renato Balestra created a unique collection specifically for Azerbaijani shopaholics. National silhouettes and motifs began to appear more and more in the collections of national designers. 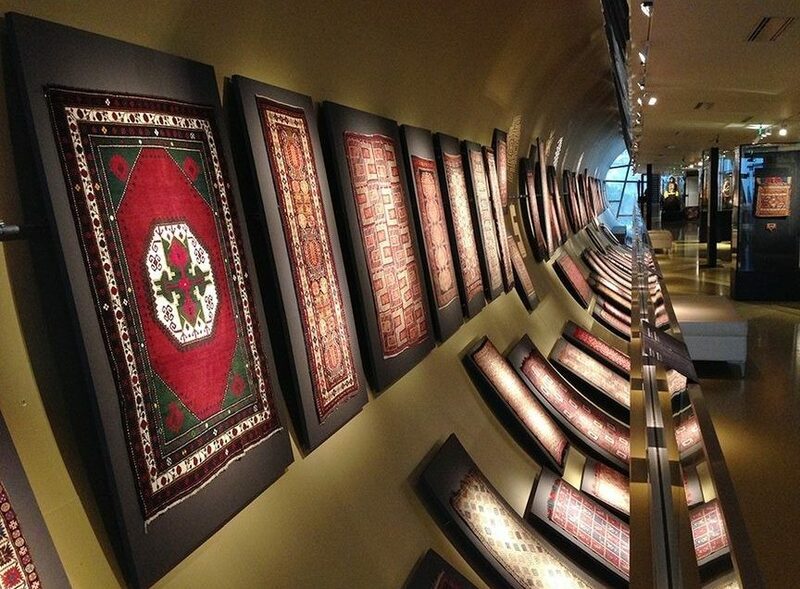 Azerbaijan turned back to its beginnings, introducing the rich culture of Azerbaijani people to the world. Why choose Guided Azerbaijan ? The tours are all yours: photo-stops, breaks at your convenience. Tour itinerary discussed with your guide.